The Windows Live Movie Maker application was designed to help you turn your videos and photos into movies, so you can share your favorite digital memories with family and friends, or the whole world if you want. 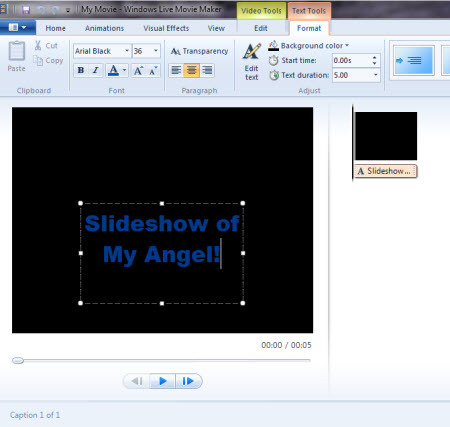 · You can easily start your project by adding photos and videos to Movie Maker beta. Add videos and photos right in Movie Maker beta or through Windows Live Photo Gallery beta. · Include transitions and effects, plus other touches to make your movie (A file created by combining the audio, video, and photos contained in your project into one video file. Movie files are created when you output or publish your movie in Movie Maker beta, and are saved as a Windows Media file with a .wmv file name extension.) your own. · Add a soundtrack: Add a music soundtrack to set the mood for your movie. · You can watch a preview of your movie (or a single video or photo) at anytime in the editing process to see how your project (Contains information about the videos and photos you’ve added, edited, and arranged on the storyboard in Windows Live Movie Maker beta. ) looks so far. Then make other changes if you want, or start making and sharing your movie. · This is the final step where you make your movie, so you can share it with family and friends. You can output your movie as a video file on your computer, or you can publish your movie to a website, such as Soapbox on MSN Video. · Internet connection: Internet functionality requires dial-up or broadband Internet access (provided separately). Local or long-distance charges may apply.